One Saturday this past summer I had a chance to visit the absolutely amazing archaeological museum in Perugia. Among the wonders of their collection are a large number of Etruscan and Roman cinerary urns. One of the most popular motifs among their decorated cinerary urns is the sacrifice of Iphegenia, about which I hope to post more soon. However, among the multiple examples of the sacrifice of Iphegenia, I encountered one scene I had never seen before on a cinerary urn, or any other medium for that matter: Minos’ encounter with baby Minotaur. The scene includes Pasiphaë on the ground, naked with a blanket around her; two standing women, the one on the right holding a baby with what could be a bull’s face; and Minos, on the far right with sword raised, threatening to kill baby Minotaur, Pasiphaë, or maybe both. 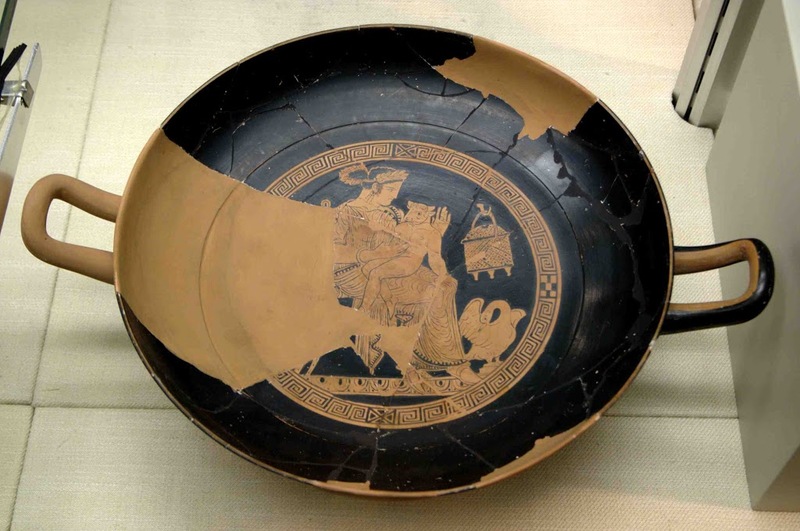 The grown Minotaur appears was a popular theme in Greek (particularly Athenian) art, and I know of one example of the baby Minotaur on Pasiphaë’s lap, depicted in a red-figure kylix from Eturia (of Attic manufacture), below. Pasiphaë and the Minotaur. Tondo of an Attic red-figure kylix, 340-320 BC. From Vulci. Now at BnF — Paris, Cabinet de Medailles. There are also multiple examples of Theseus and the Minotaur. 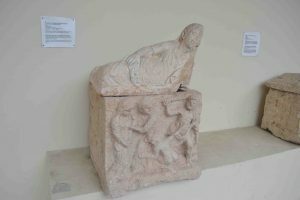 However, the Perugia urn was the first example I had seen of Minos’ encounter with Pasiphaë’s newborn son and the attempt at violence that followed. Why this would be a fitting subject for a cinerary urn at all, I am unsure. Perhaps the kylix from Etruria indicates that the story of baby Minotaur was popular in Northern Italy by the fourth century, in which case the cinerary urn could suggest the continuing popularity of the theme into the second century. However, I would like to find out if there are other representations of the birth scene and Minos’ reaction from northern Italy, or elsewhere. So, if readers know of any additional examples, please send them on! 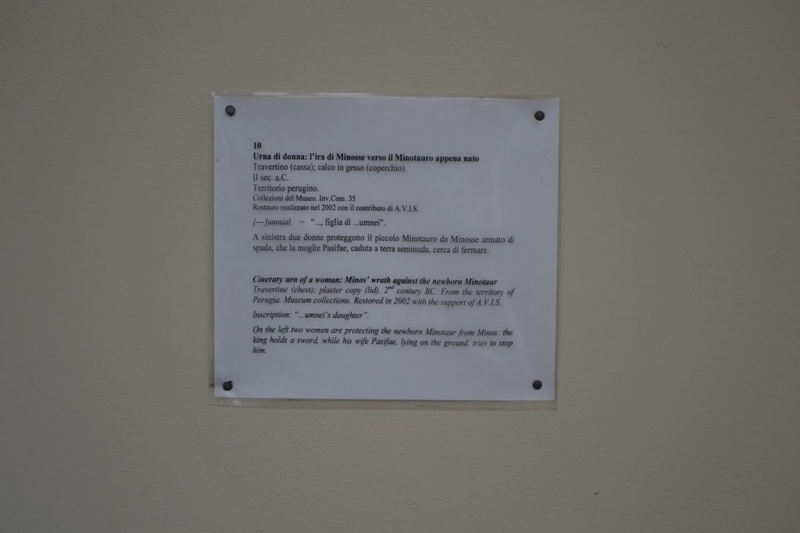 In response to reader requests, I have added a photo of the Perugia Museum’s label for the cinerary urn featuring Minos attempting to kill the baby Minotaur. Enjoy! On weekends the past summer, I was able to visit some of the medieval churches near Massa Martana. 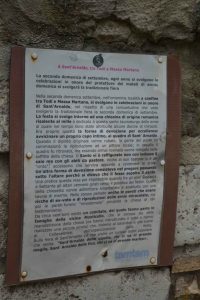 One of those churches was dedicated to Sant’Arnaldo. 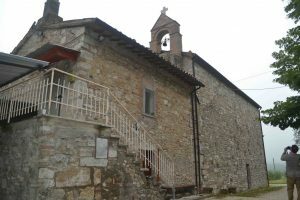 The church is dated to the late 13th century, according to the Commune di Massa Martana. The facade, below, and details, show indications of later repairs. Also visible at the rear of the church, is a residence, presumably used in former times by those associated with the church. 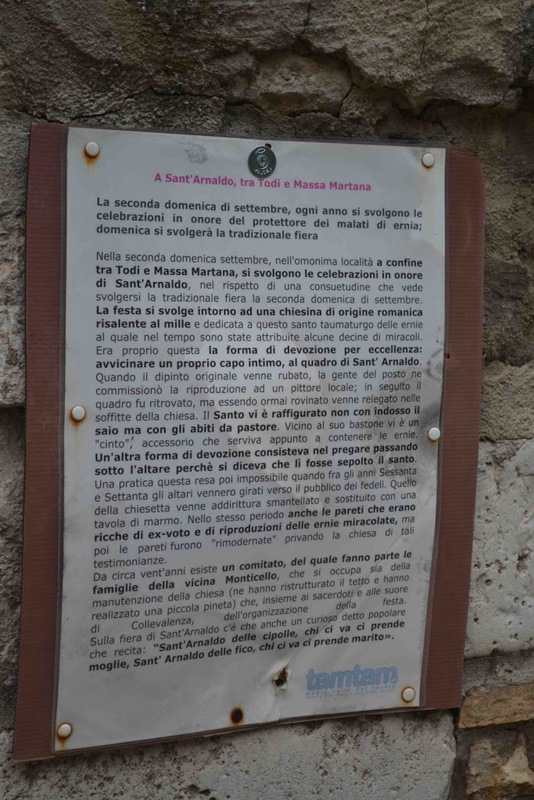 For the curious visitor, a helpful sign reveals that Sant’ Arnaldo is a special protector against the malady of hernias. 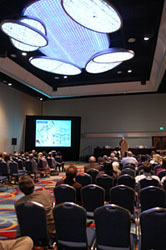 I (along with other teams members) will be presenting the results of the 2011 excavations at the AIA Annual Meeting in Philadelphia, Jan. 5-8, 2012. Our presentation will be in Session 6 (Roman Italy), on Saturday, Jan. 7, from 2:45-5:15. The conference program and website is here. It should be a good session. I hope to see some readers there! 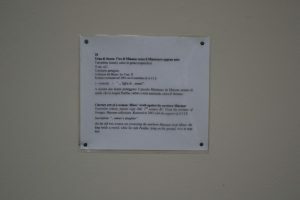 Next week we begin the 2011 excavations at the Vicus ad Martis, and I am packing my bags. About this time last year I blogged about excavation footwear, noting that Italian law states that excavators must wear steel-toed boots. 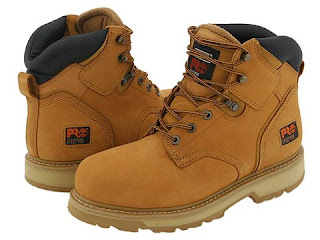 Last year I duly complied with a nice pair of Timberlands — suitable for digging, “This Old House,” and 90s hip-hop. They served me well and survived for another season. They will be coming with me. My only choice — wear them and save room in my bag, or pack them and have a more comfortable flight. I’m leaning toward the latter. Last season’s hat, however, did not survive. My straw hat, a faithful companion since ca. 1998, died in Provence post-dig. It now rests in peace somewhere near Aix-en-Provence. What better place for a straw hat to see its final days? Of course, that means that I must choose a new hat. 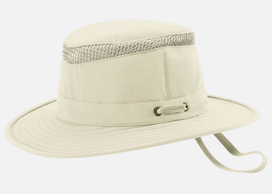 This summer I’m going with the Tilley Hat. This hat has die-hard fans in diverse corners of the globe, and it does appear to be well made. I’ve had a number of imitation Tilleys over the years, but this time I decided to cough up the money and buy a real one. I admit, I am sucker for their advertising. They highlight Canadian workmanship (I suppose those guys earn a living wage) and the lifetime warranty. The literature that comes with the hat (yes, it comes with something like a manual) suggests that the owner is now part of club of adventure hat connoisseurs. Oh, and the hat floats — a feature I doubt I will be able to take advantage of. Although, we did get down below the water table last summer. I’ve been testing out the Tilley — painting the backyard fence, walking to the park. So far, it has held up well in the Oklahoma summer. We will see if it can take digging in Umbria! 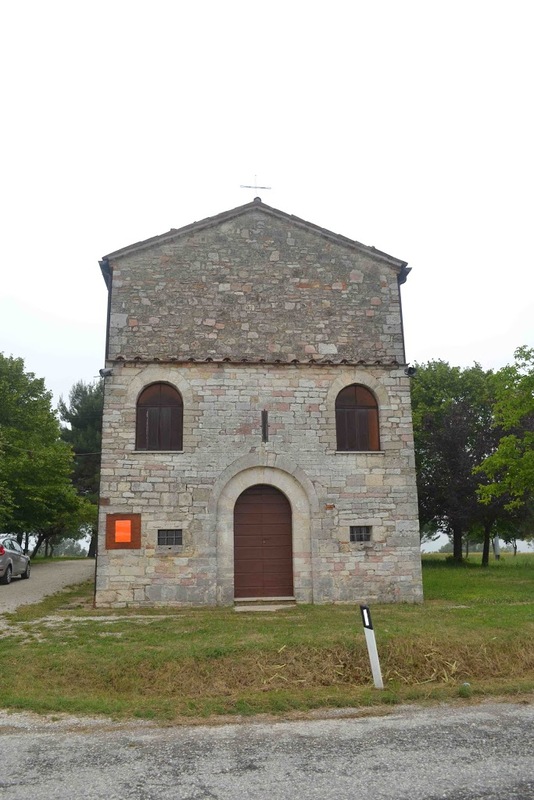 Bill Thayer has recently updated the entry on the Church of Santa Maria in Pantano in his gazetteer of churches in Umbria. 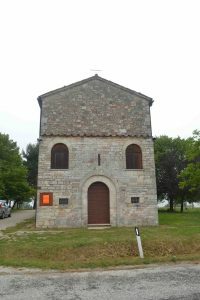 The entry has a well-illustrated description of the phases of construction of the church, the decorative blocks and spolia used in the church, the altar inscription, and other things. Santa Maria in Pantano is right next to the excavations at Vicus ad Martis. In fact, excavators often have drinks and snacks at the bar built into the remains adjacent to the church. So, if you are headed to the Vicus this summer, have a look at Thayer’s description; we will spend quite a bit of time around the church. Also, if you’ve been to Santa Maria in the past, have a look as well; the entry does a good job of explaining things that you might have seen, but not recognized or understood. Massa Martana is the closest town to the excavation. It is where the volunteers usually stay, and where all involved spend a great deal of time. The town is not on the usual tourist itineraries, which leads some to wonder what the town it like. Well, for readers and potential volunteers who want more information about Massa Martana, its monuments, and the surrounding region, a great place for images and information is Bill Thayer’s gazetteer (here). The site contains a wealth of information on Umbria and its churches (here). It also has information and images related to the Via Flaminia, a Roman roadway that is central to the research at the Vicus ad Martis. Excavation continued on Wednesday, reaching levels just below a modern drainage channel. We hope to be able to remove the drainage channel today (Thursday). In addition to learning about archaeology through excavation, students who are participating in the excavation also have a chance to travel to local archaeological sites. Yesterday afternoon, the director of the excavations, John Muccigrosso, led students and professors to the Christian catacombs along the Via Flaminia, which feature the remains of an early Christian basilica above the entrance to the catacombs, the apse of which is visible in the photograph below. We also visited the impressive Ponte Fonnaia, part of the Via Flaminia, a photograph of which you see below. Our afternoon trip took us to one additional Roman “ponte” along the Via Flaminia. 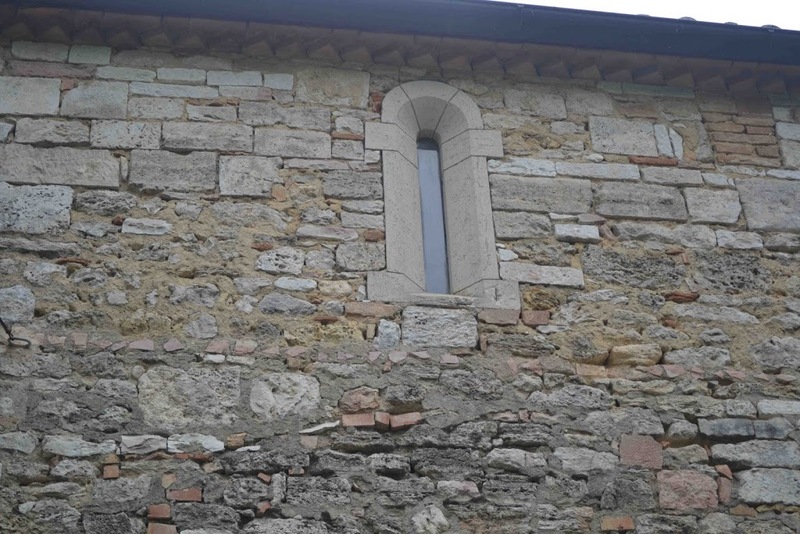 This ponte was re-used as the foundation of the medieval church of San Giovanni de Butris. In the photograph below, you can see the top of the Roman arch being used to support the entrance to the church. Here is a link to the Vicus ad Martis entry in the Fasti database, which collects brief archaeological reports from parts of the Roman Empire. 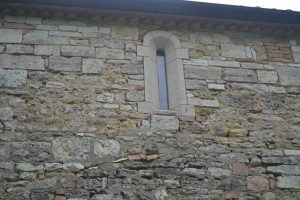 The Fasti entry contains a summary of the findings from the last two seasons at Vicus ad Martis, which should be of interest to the followers of this blog. Excavators at Vicus ad Martis will be required to wear steel-toe work boots, in compliance with Italian law. I think steel-toes are a good idea, in part because the thought of taking a student to the hospital with a smashed toe is not a pleasant one. However, this has gotten me thinking about the varieties of footwear worn by diggers in different parts of the Mediterranean. Steel-toe boots are by no means standard in other regions. For example, when I was working at Megiddo in Israel, we were required to wear boots, but they did not have to be steel-toed. As it was explained to me, the boots were a good idea in case scorpions attacked your ankles. I don’t recall any scorpion attacks in the trenches, but perhaps that is because my boots deterred them. In Greece, hiking boots or sneakers are more common (in my experience). And, I have even witnessed archaeologists in Greece working in (gasp) sandals. (Toe injuries be damned! My dogs have to breath!). In fairness to sandal-wearing archaeologists, I am a big fan of wearing sandals in some parts of the Med., provided that you are not walking through a field covered in goat-head burrs, or lifting large rocks. However, this season I am gearing up with steel-toe boots. I purchased a new pair recently and have been wearing them on campus to break them in. I decided upon the Tiberland “Pit-Boss” [picture above] which is not only steel-toed but (so the box states) can protect the wearer from electrical hazards as well. In addition, and from the perspective of fashion, this style of boot simultaneously evokes Norm from “This Old House” and nineties hip-hop, a la “This is How We Do It.” What other work boot can do that? Preparations for the third season of excavation at Vicus ad Martis Tudertium are underway. The site lies on the western branch of the ancient Via Flaminia, and it appears on a number of ancient and modern itineraries. The past two seasons of excavation have identified some of the parameters of the site, identified a major road going through the site, and brought to light the remains of some of the buildings of the Vicus. Last season a human burial — a cappuccina — was also discovered. Prof. John Muccigrosso of Drew University, Prof. Sarah Harvey of Kent State, and their Italian colleagues have directed the excavations in past seasons. This season I, along with two undergraduate students from the University of Oklahoma, will also be assisting in the excavation. The dig, which is run as a field school, promises to be great experience for the OU students, as well as their professor (i.e. me). This season the excavation will attempt to determine the ultimate borders of the site, the chronological limits of the site, and determine the relationship of some of the major buildings of the site and the Via Flaminia.